These were the words of an unconventional 16year old, one that discovered his purpose very early in life and went after it fearlessly and fervently. Tonny Rutakirwa was born in Uganda’s capital Kampala in 1990, He attended Salvation Army Nursery school, Lohana Academy for his Primary Education, Namirembe Hillside High School for his O’ level and completed his A’ level at London College of St Lawrence. He later proceeded to get a degree in technology from the Asia Pacific University College of Technology and Innovation (UCTI – APIIT) Malaysia. The genius became a business expert from his childhood, in a continent where business was thought to be an adult affair. He made his first million while in primary school, at age 10. 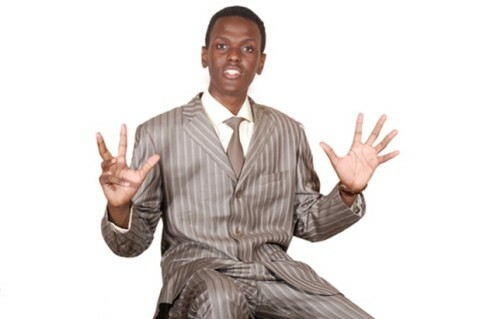 He has since gained greater heights in business and has become a huge employer of labour, which points to the fact that success is not measured by age, if it were, you can bet that many things would have gone differently; no one would imagine that young Tonny Rutakirwa would today be named as one of the wealthiest men in Uganda. But like most entrepreneurs, Tonny had his days of little beginnings, the times he tried and failed but never gave up. One of such times was during his A’ levels, he and a few of his friends started up four companies which they envisaged to be the greatest in the world. These included; MYLES Cleaning Company with acronym, “Make Your Living Extra Simple” which was meant to deliver all round cleaning services, YES Wear whose letters stand for, “Your Extra Satisfaction” which was meant to deliver all round fashion service and products, Traveline, Inc. which was meant to deliver all round transportation services, Blue Walkers which was meant to transform Uganda’s music industry and make it the most desirable on the planet. Although the young entrepreneurs had very high expectations for their business, they failed because they lacked experience and proper guidance. Yet Tonny kept at it, without plans of quitting, and in a quest for guidance, he joined QuestNet (QNET) where he did professional sales, marketing and net-working. His position in the company gave him exclusive sales experience that has helped him birth and sustain his current companies. He also worked with New Image International (in Malaysia and New Zealand) where he further honed his marketing and branding skills. Today, at 23, Tonny Rutakirwa has become a name to be reckoned with in business locally and internationally. The young achiever is also a recipient of numerous awards and the brain behind a chain of topnotch businesses like; Tonniez Invesco Inc, Tonniez Publishing Press, Tonniez Travel Line (TTL) which deals in transportation and tourism, Tonniez Clearing and Forwarding, Tonniez Charity Initiatives (Tonniez Foundation), Tonniez Cleaning Services, Tonniez Events, Tonniez Fuels and Energy and Tonniez Engineering Prospects which deals with laptop computer manufacturing; a company which he started since 2011 in China with its current brand being the Tonniez Ultimate Slim, a beautiful product of creativity. TEP plans to get into the smart phone industry soon. Tonny has been recognised in the prestigious Young Achiever’s Awards in the corporate and professionals category in 2010. These awards were presided over by the President of the Republic of Uganda, H.E Yoweri Kaguta Museveni who was the Guest of Honour. He has also appeared in various media like the Rock Magazine. Did I mention that the first class entrepreneur is also a prolific and ardent writer? He has authored several books and has a long term publishing plan that spans to 2065, when he hopes to round it off with his biography. Some of his published and upcoming works are; Awaken the financial genius in you (2010), Awaken the financial genius in you Rebuilt (2012), You can do it (2013), Achieve your dreams (2014), Faith in Action (2015), What’s Love? (2016), Molly Besigye auto biography (2017), Hanns besigye auto biography (2018), Excelling in network marketing (2019), Personal and financial development (2020), Art of filming (2021), Tourism in Uganda (2022), Being an ambitious son (2023), How, why and when? (2058), Marketing vs. Selling (2058), After death, then what? (2059)…………..
A peek into Tonny Rutakirwa’s journal: lessons learnt, discoveries made and advice for the upcoming!!! Never under-estimate the impact of your choices. One choice can produce lifelong consequences for good or bad. Your present is as a result of your past thoughts and can only be your current reality. Your future will therefore be a result of your current thoughts. Embrace your challenges and face them with a positive attitude and you will be shocked to realize what a great individual you can become. Beware of people that need to see “a sign”, “to see your success”, “to see some light” before they can publicly declare you a partner, a friend, a colleague or even a role model! The people that deserve to be in your inner circle are already known to you and they are not concerned with your failures, they are only concerned about your reaction to your failures! Foundations are often the ugliest parts of a building. I have never seen a painted, tiled or even plastered foundation. This is because they serve the toughest purpose. The foundations in your life are the challenges you have been through. If you have not gone through enough of them, you simply are not yet ready! When you SUCCEED, do so to the extreme in that everyone loses breath. When you FAIL, do so to the extreme in that those who responded negatively to your failure will fear to approach you when you SUCCEED again. A blade can’t cut when it isn’t in motion! Basically, a sharp object can’t dissect when it is stationary. Likewise, you must be in motion to create an impact. When going uphill, when climbing a hill, you smile, then grin but if steadfast, the smile will force its way back! Its only late if you are nt interested. I appreciate every second i make an appointment with Tonny Rutakirwa, his good words never leave me the same! Well said Donald, interest is key. Thanks for your kind words. Thank you Donald. Always a pleasure!.. A remarkable entrepreneurial life who believes there is always room at the top and ready to innovate, resist obstacles and excel with strong values. Thank you for these wonderful remarks, Bishop. Thats a remarkable entrepreneurial graph of life, He believes there is always a number at the extreme top and ready to build something extra ordinary everyday, God Bless you always.